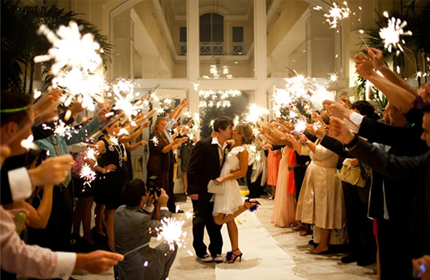 Everything about your wedding should be memorable and celebrated to it’s fullest. While planning your wedding can be stressful at times, every moment should be cherished and know that every detail will be worth it in the end. Help commemorate these amazing moments with custom bridal apparel! 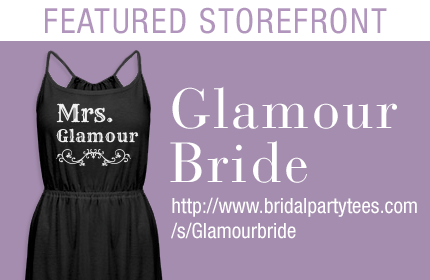 Glamour Bride gives you exciting and glamorous ways to show off that pre-wedding spirit with cute custom apparel that lets everyone know that you are the bride! Each design in Glamour Bride’s storefront can be customized to include names, dates, and your specific wedding colors but what makes their storefront so great is that these designs are already fabulous without the customization factor. 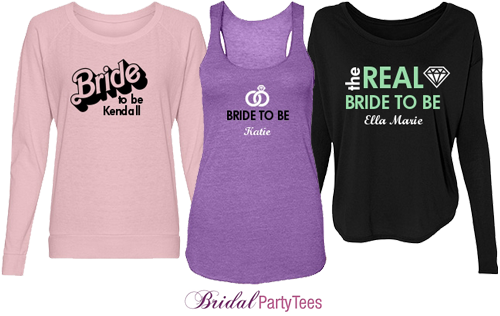 Bridal Party Tee’s offers the trendiest apparel online and there’s no way you won’t find a tee, tank, or accessory that won’t fit your style. Already married? 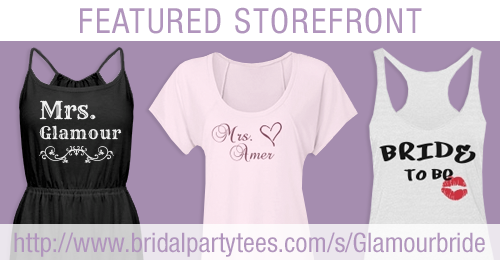 No worries because Glamour Bride also offers great wifey apparel to make you a proud Mrs! Bridal Party Tees wants every storefront to achieve the design aesthetic they are looking for and are more than willing to help you get to that level you want to reach. We will help you with art assistance, design concepts, and anything else you can think of! If you are thinking of opening up a storefront with Bridal Party Tees shoot us an email and we will be excited to help your brand grow! 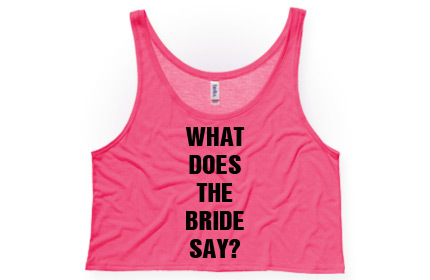 Need more information on Bridal Party Tees storefronts? Check out our storefront FAQ page! Outdoor wedding season to be exact. Brides-to-be are putting the final touches on their sunny beach weddings, their rustic farm ceremonies, and their perfectly planned park nuptials. 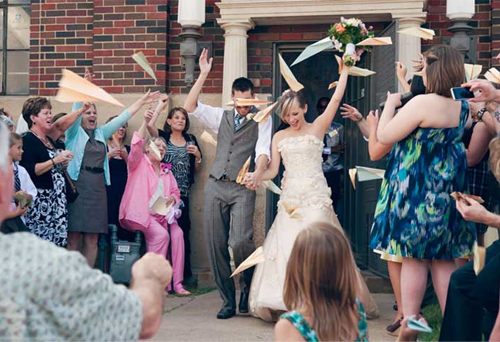 We’ve gathered a list of the most vital tips and tricks to pulling off an outdoor wedding. 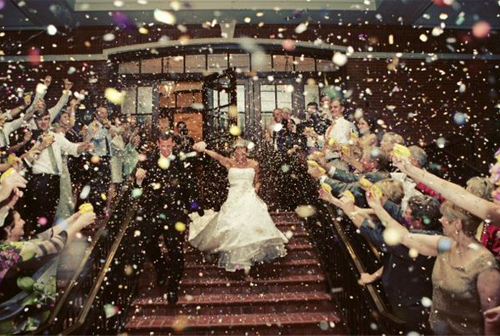 If you’re planning one, read below for advice and avoid wedding day pitfalls! 1. First and foremost, tell your guests. 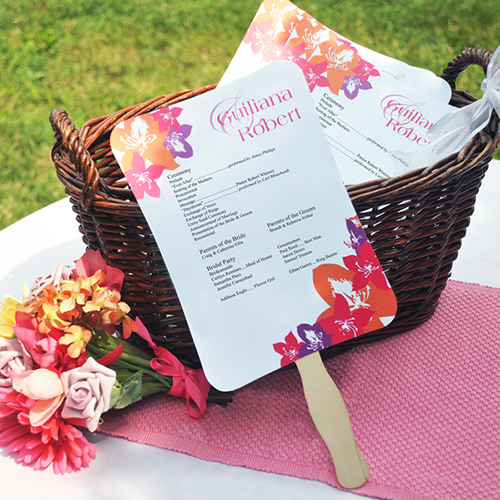 Slip an insert into the invitation that lets guests know that the wedding will be outdoors and they should plan their attire accordingly. It can’t hurt to add a quick note explicitly suggesting guests wear “lawn-friendly or sand-sanctioned shoes” for the day. 2. Get your permits! If you’re having your wedding ceremony in a park or public beach or anything that isn’t a private venue, look into getting a permit for your ceremony. You’ll want to go to the city planning or public service office to do so. You don’t want authorities stopping you in the middle of “I do” to say that you can’t be there. 3. Don’t let the elements throw off your wedding day beauty. Inform your hair stylist that your wedding will be outdoors so that they can plan a style that will work well against sweat, humidity, and wind. Long- lasting make-up spray is a MUST. And head’s up on the heels. If you and your bridesmaids aren’t willing to forgo heels on your big day, definitely think about purchasing heel covers so you don’t slide into the ground with every step. 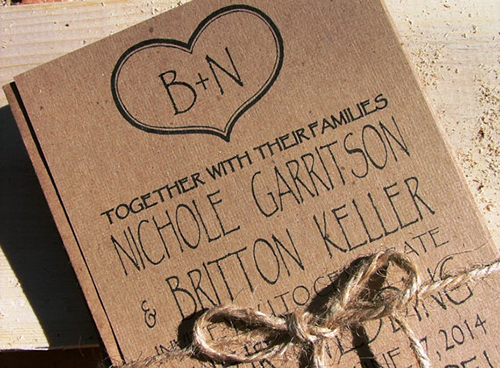 Maybe even get cement blocks for bridesmaids to stand on during your vowels so the sliding is totally preventable. 3. Save the heat for the kiss. 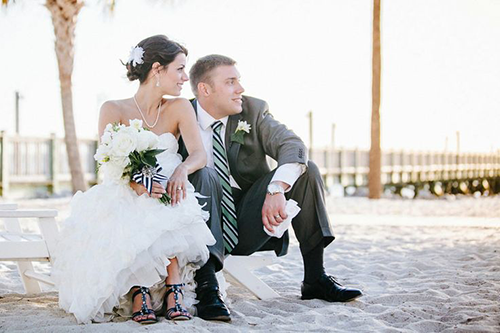 Chances are, your wedding day will be a little on the warmer side. (You’re planning an outdoor wedding because you love the warm weather, right?) 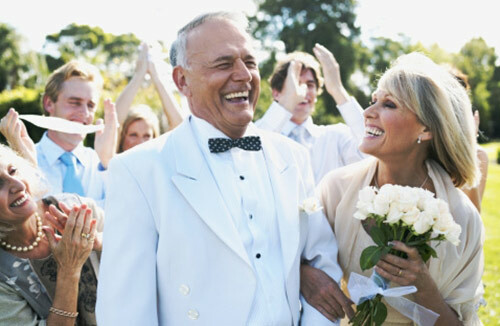 Have your usher greet your guests with cold bottles of water that they can sip on during the ceremony. And consider printing your programs on fans! 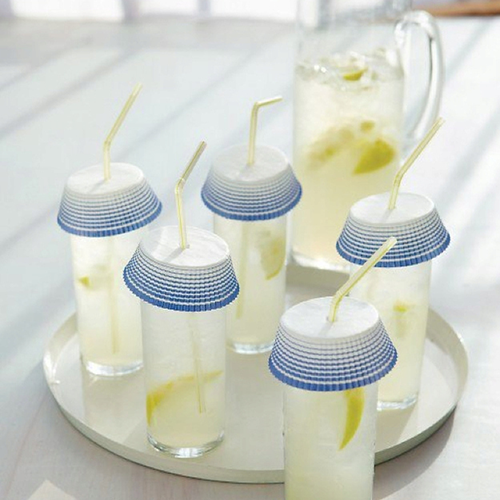 It’s a cute, themed way to keep guests cool. You may also want to offer sunglasses as wedding favors and keep bottles of sunscreen around (tip: put the sunscreen in cute- maybe DIY- pump bottles. They’re waaay cuter). 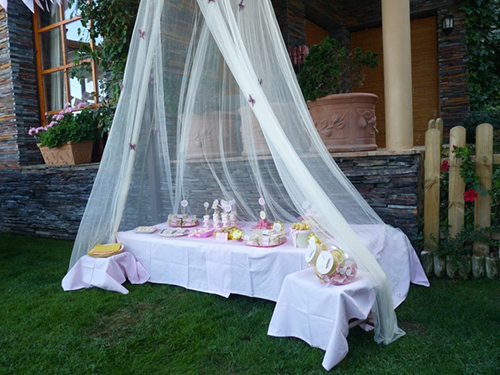 Parasols are also an adorable way to keep the sun off your guests. Not to mention, they’ll make for the cutest photos! 4. Don’t bug out over insects ruining your day. Satisfy your Mason jar Pin-board obsession by setting up cute displays with citronella candles. 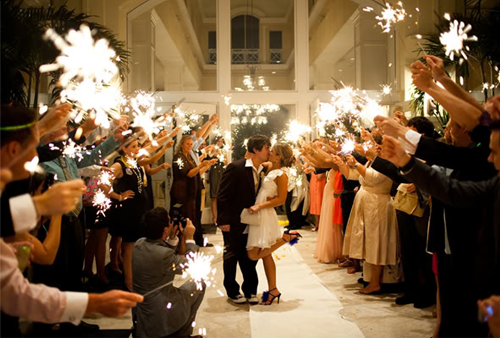 For beach weddings, the citronella torches at your local home improvement store look great and totally fit the theme! Get individual bug repellent packs that guests can grab when they need to. Keep your food and refreshments as bug-free as you can with canopies over the food and cover drinks with upside down cupcake liners! 5. Don’t forget about the restrooms. If there is no public restroom available nearby, you’ll need to consider portable toilets. They don’t have to be tacky and gross either. 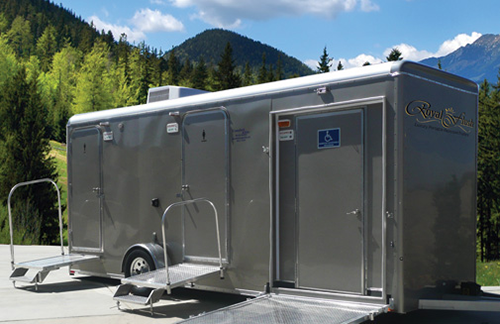 You can rent high quality portable restroom trailers. It’s just a matter of your budget. 6. Enjoy the sun! As in don’t let it ruin your guests’ view and the photographer’s shot of the ceremony. Plan for the guests to sit with their back against the sun so that they can actually see you getting married. OR schedule the ceremony around the setting sun! 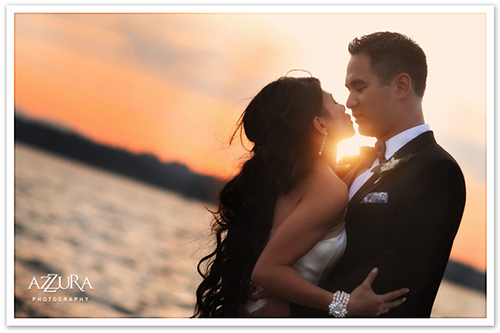 If you don’t have to have the wedding early, plan to recite your vows when the sun is going down. The photos will be to die for! 7. Plan, plan, plan. And plan some more. Seriously. Have a back-up plan. It’s outdoors, it’s the weather, and it’s unpredictable. If you think you can really make it through the day without a heavy rainstorm, get a tent or canopy for guests just in case you have light showers (or guests who get desperate for shade). If you’re worried about a serious storm coming in then it might be best to keep your venue near some form of shelter or just go ahead and rent a hall with a totally do-able lawn so you can have the best of both worlds. Think it might turn chilly at night? Have throw blankets available for guests or customize sweaters for guests as a wedding favor! Don’t get caught in the dark with out extra lighting and power strips. And pack a first aid kit, especially if your outdoor wedding is in a remote location. 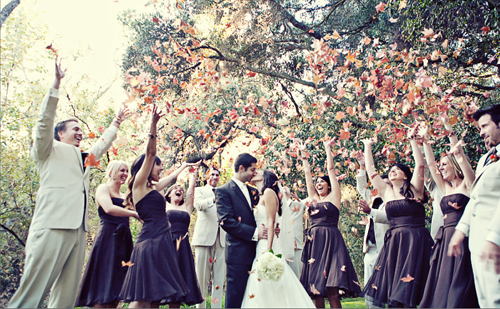 Outdoor weddings are some of the most beautiful ceremonies and no one can resist looking at those pictures! The absolute best way to plan your outdoor wedding is to think. of. everything. You can’t control the heat, the sun, the bugs, the rain, or the wind (as much as you might want to). All you can do is prepare for the worst, hope for the best, and enjoy your day basking in the sun and love. There are a number of things you can customize for your wedding day. You can have a custom dress made if you have the extra cash. You can customize your wedding shoes too. You can design shirts for the morning of your wedding. You can DIY your centerpieces, your altar, and lighting (like Mason jar candles!). 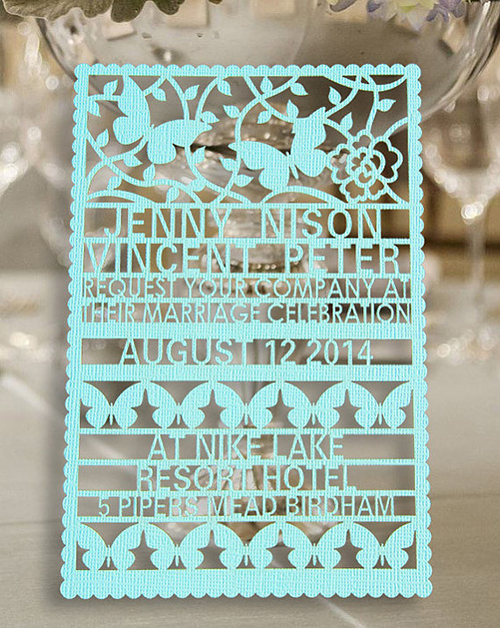 There are a ton of stores on Etsy that sell custom wedding invitations. These stores are operated by independent artists who use Etsy to reach future brides and display their work. You simply choose your favorite design (don’t worry, you can order samples before you make a final purchase) and add in your date, names, times, etc.! 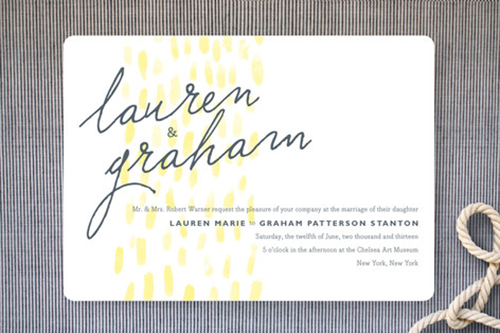 Minted wedding invitations are also designed by individual artists and sold through the site to brides like you. 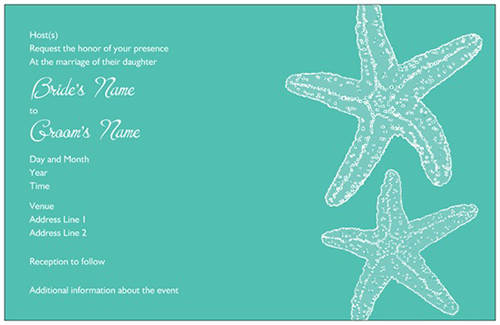 Places like VistaPrint let you upload your own design or photos and customize your invitations from scratch. You can also choose to customize a design already featured on VistaPrint. However you choose to design your wedding invitations, just be sure that it’s a reflection of you and your wedding- that’s what it’s all about! Are You Being a Bridezilla? Keep Calm and Plan a Wedding. You’re picking the menu, choosing the flowers, calling caterers and photographers. 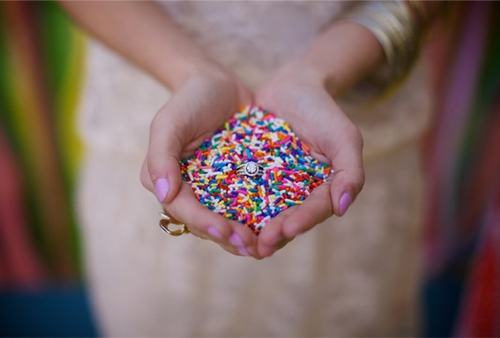 You’re picking colors and styles and choosing a dress. You’re scheduling hair appointments, fittings, and nail salon visits. You’re deciding on centerpieces and seating charts. You’re calling family members, friends, and rounding up addresses. 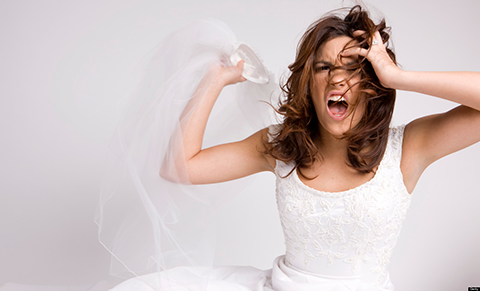 You’re losing your mind and turning into a Bridezilla. It’s easy to get overwhelmed and manic when you’re planning a wedding. There is so much to think about, let alone do! You’ve got some help, but it seems like it will never come together. The best thing to do in these times? Relax. Destress. Take a moment away from the wedding plans. Breathe. Before you go ditching your wedding plans and grabbing the next flight to Vegas, try these tips to keep calm. First and foremost, step away from the plans. Literally. Do not look at seating charts, invitation typography, or bouquet arrangements. Physically separate yourself from all wedding plans. Try spending time with your bridesmaids, but just as friends. Take some time to see a movie or have a spa day with your girls. The catch? No. Wedding. Talk. Use the time to remind yourself that you have a great bunch of ladies who love and support you. Do not use the time to continue handing out orders. They get irritated, then you get irritated. If you feel like you’re constantly answering other people’s questions and have a million different decisions to make, try making some alone time. You might be feeling overwhelmed with a ton of different people calling, texting, emailing, and Facebooking. Unplug from the world and spend time alone. Go for a run or hike. Cook and eat a dinner alone. Read a book. Nap. Do anything to recharge your overworked brain! Laugh. Laugh at yourself! 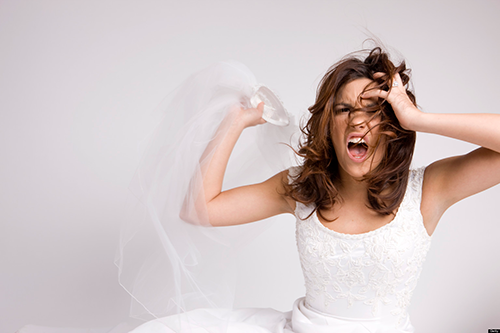 Poke fun of the crazy Bridezilla you’ve become! 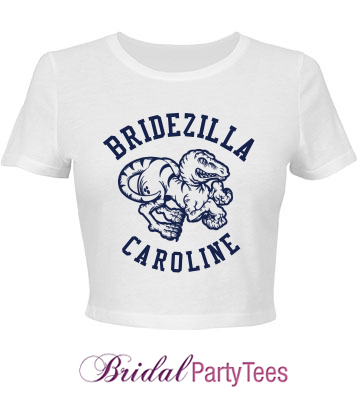 Design a custom Bridezilla shirt to let everyone know that you know you’ve been a little cranky! Friends and family members will appreciate you recognizing how demanding you’ve been and find it in their hearts to forgive you. They know you’re stressed. They want to help. Remember that and planning a wedding together will be easy. Above all, remember that this is a celebration of your love. You’ll be marrying your soulmate in front of all of the people who matter to you. Friends and family are there on that day to express their support and love for you. Don’t lose focus and turn your dream-come-true into a nightmare! 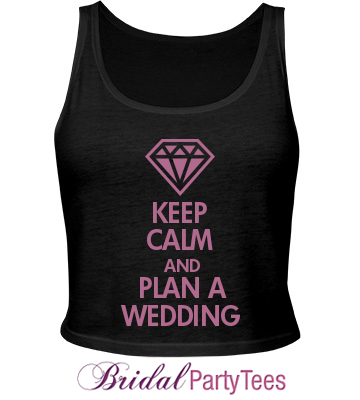 Keep calm and plan a wedding. It’s tradition to have a celebratory send off once a bride and groom have said their “I do’s,” and in the past, the item that was a big part of this congratulatory send off was rice. However, rice turned out to have a horrible side effect to many friendly pigeons in the area, so alternatives needed to be put in place for a safer and more environmentally friendly send off. To help make your send off with your new husband extra special, we have compiled a list of 13 alternatives to throwing rice that you can incorporate into your send off! These are not only fun and unique options, but they will get your guests involved in the celebration! Go back to your schoolyard days and make paper airplanes. 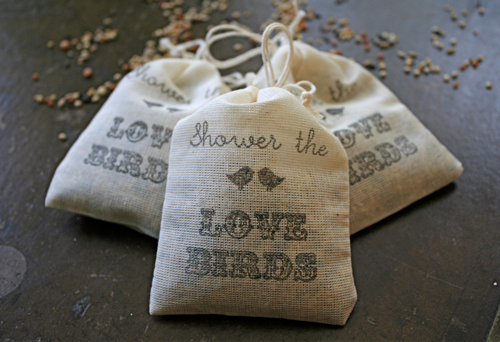 Give the birds a wonderful dinner as well as a beautiful send off for yourself. 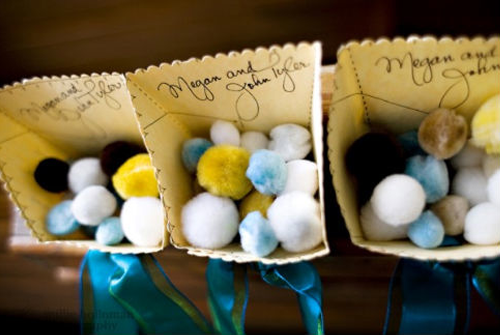 Fun and colorful, pom-poms are the perfect way to work in your wedding colors and wow the crowd at the same time. A key piece to many parties and a great way to get the party started after the ceremony. Now you can have another tasty treat part of the wedding besides the cake. 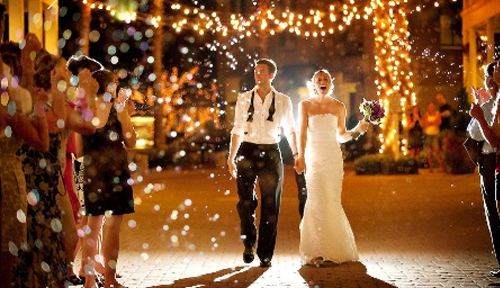 Sparks will fly when you exit the chapel! 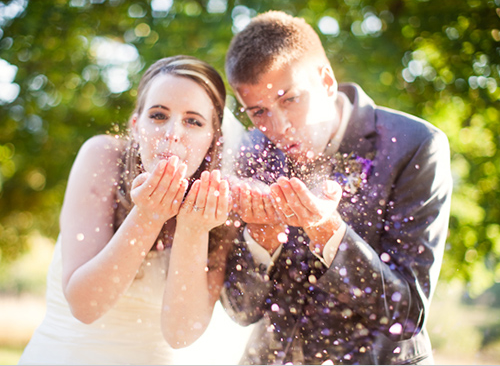 Bubbles are probably the most popular alternative seen at weddings, but they are still one of our favorites! 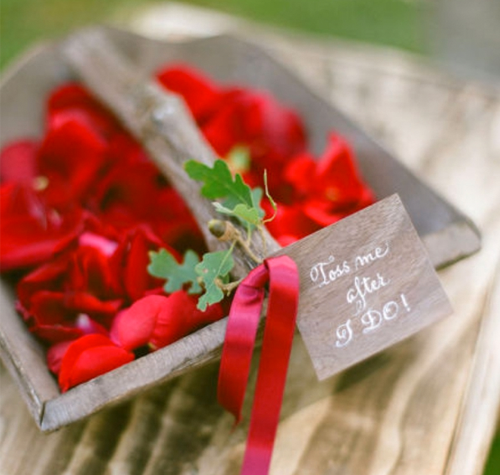 Make your send off super romantic and charming by having your guests toss rose petals. Great for any fall wedding. Having a wedding around Christmas? 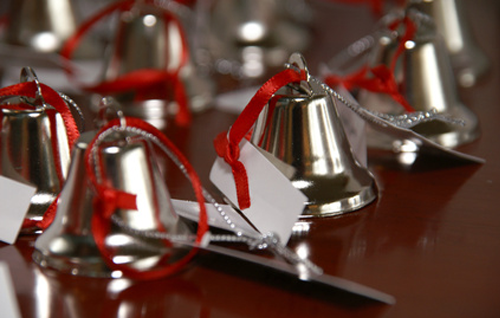 Bells would be a nice touch for the send off. Make it rain (with fake money, of course). Amp up the party vibe with streamer wands! They’ll not only get the party started off right, but you can find them in your wedding colors for reasonable prices. Out of the 13 ideas in this list, we hope one of them jumps out at you as a must-have for your send off. 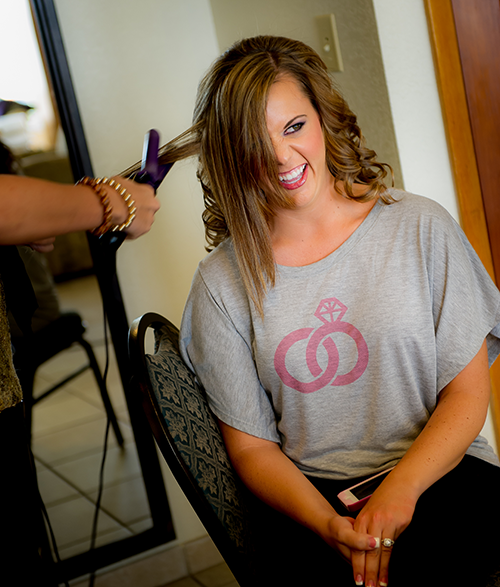 If you’re worried about some of the messier send off ideas, just make sure you have your custom bride shirt handy and your husband has his custom groom shirt ready afterwards. What are some other alternatives that we missed? Share them with us in the comments section below! Your bachelorette party is going to be a blast! Your close friends have all RSVP’d that they will be attending and the party is all about celebrating you and your last night out, so how could the night not be a blast?! Even though the night is sure to be one to remember, what no bachelorette wants is a nasty hangover and an unorganized morning the day after. That’s why we have created this step-by-step guide to help all bachelorettes have a better morning after their bachelorette party. 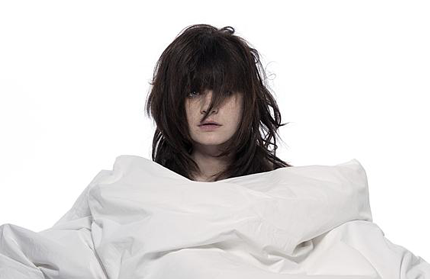 Follow this guide and you’ll be better ready to handle the morning after your bachelorette party. Get some liquids in your body that is not alcohol. Grab a shower in the morning if possible, otherwise pack the hand sanitizer and body spray. Whether you spent the night dressed up to the nines or went out in your bachelorette party shirts, having comfy clothes to relax in the day after is a must. Plan to make something in the morning, whether it is a big breakfast or something small; don’t go without it. Spend some time with your attendees and get details of the night if things are a little fuzzy in the morning. The night wouldn’t have been as fun as it was without those that attended so make sure to thank everyone who went out with you. The morning sun can be bright, be ready! It was great spending the night out and morning in with your friends, but at some point, you’ll need to make your way back to your fiancé so have some transportation lined up. Sometimes a fiancé doesn’t need to know all the details of the bachelorette party. Beauty rest will be needed at some point. 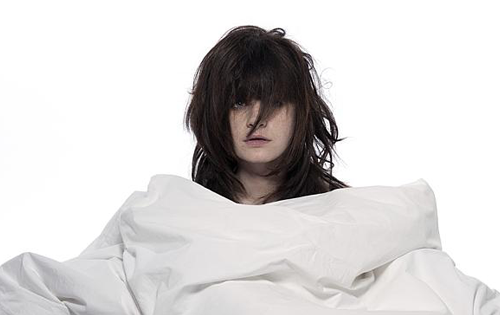 Did we miss any steps that would make the morning after the bachelorette party better for the bride-to-be? Share them with us! It’s engagement season and many lucky women now have a ring on their finger and someone to call their fiancé. When you say, “yes” to the proposal, one of the first things that will probably cross your mind is, “I have a wedding to plan!” But, before you jump into all the wedding details, there are a few just engaged details that need to be taken care of. 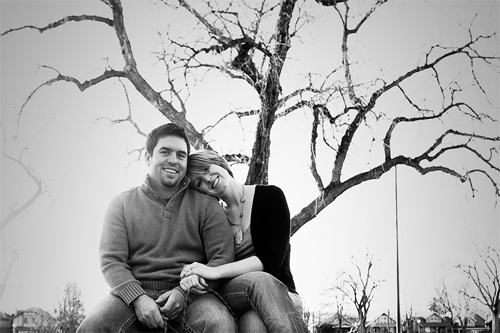 Below are 10 things a bride-to-be will want to consider doing after just getting engaged. Once he drops to one knee you’ll be filled with emotion, so it’s important to enjoy the moment and collect those emotions. Relax by opening a bottle of champagne and snapping some pics with your new fiancé. Set aside some time to call those that are most important to you like your parents, grandparents, and close friends who just might be potential bridesmaids. Once your VIPs have heard the news, it’s time to share the engagement on Facebook and update your relationship status. If your ring doesn’t fit and is not insured, go back to the jewelry store and have your ring fitted and appraised. Everyone is going to want to see the ring, so treat yourself and get a manicure. Show off the fact that you’re now engaged by customizing a just engaged or bride-to-be shirt that you can wear to the many wedding events that will soon be approaching! The engagement phase can sometimes fly by once the major wedding planning starts, so shortly after getting engaged, spend some time together by going on a trip or out for a romantic dinner. If you were hiding or simply didn’t tell your fiancé about the wedding board you’ve secretly been creating for the past couple of months, now is the time to share it with him so you both get a better idea of what you want for the wedding. Find out how much you both can and want to spend on the wedding and try to get an idea if you will have any outside help from parents. These are two of the biggest decisions you will have to make for the wedding, so put your ideas out there and see what works for the both of you. 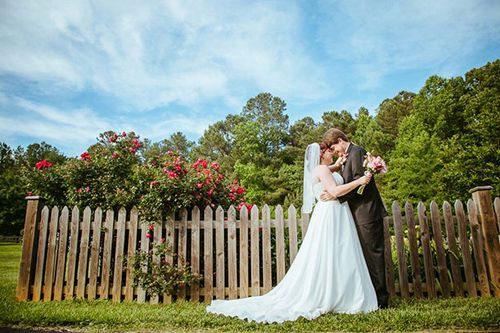 Once you choose a location and date, the major wedding planning can begin! What steps did we miss for the just engaged? Share them with us in the comments section. Once he has proposed and you have returned back to earth from being on cloud nine, it’s time to start assembling the wedding you have always dreamed of! So start creating those Pinterest wedding boards and begin taking notes of all the things you like. As the wedding begins to take shape, you’ll want to start making decisions on who will be a bridesmaid in your wedding. For some brides, choosing who will be a bridesmaid is the easiest part. 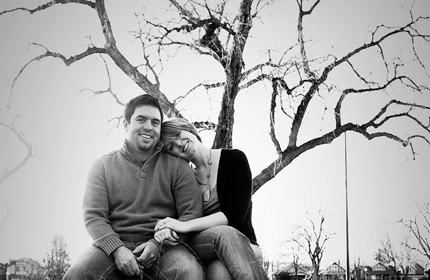 The difficulty is coming up with a creative way to ask them to be a part of your big day. To help get things kick started, we have compiled five ways you can ask your bridesmaids to be in your wedding. One just might be the right fit for you! Does wine always seem to make an appearance when you have a get together with the girls you want to ask to be your bridesmaids? If so, consider giving each a bottle of wine with a tag on the bottle asking them to be in the wedding. Plus, after they say yes, you can open up the bottle to celebrate! With email, text messaging and social media becoming the most popular way to communicate these days, receiving a handwritten note has a lot more meaning. This is our favorite, of course! Customize bridesmaid shirts and a maid of honor shirt for the women you want to have standing up in your wedding. By giving them a bridal party shirt with their name on it, they will instantly be filled with excitement about being a part of your big day. If you have baking talent, why not make something sweet like cookies or brownies? You can even decorate them with the question of, “Will you be my bridesmaid?” It will be as sweet as the sugary delight you baked. There’s nothing much better than spending some time with the girls you are closest to by going out for manicures or spending a fun day by the pool. This is the perfect time to ask all of them in person to be your bridesmaids. How are you or how did you ask your bridesmaids to be in your wedding?